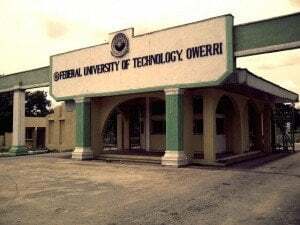 Federal University of Technology, Owerri, FUTO postgraduate application for M.Sc. programme in Global Human Resources Management for the 2014/2015 academic session. Update: Apply for FUTO Postgraduate Admission Form is Out – 2015/16. Federal University of Technology, Owerri, Nigeria in collaboration with Galilee International Management Institute Israel (FUTO-GIMI), invite applications from suitably qualified candidates for consideration for admission into M.Sc. programme in Global Human Resources Management. The mission of the joint Nigeria-Israeli M .Sc. programme is to create ideas that deepen the understanding of management and with these ideas, develop innovative, principled and insightful leaders who will change the world. This unique programme moves beyond basic lectures and theory to examine global case studies focused on different industries, cultures and sectors, both in Africa, Israel as well as in many other cultures and economic systems. A) A good honours degree from FUTO or any other recognized university. B) Any other equivalent qualification. The fee for the programme per student is Twenty Three Thousand, Five Hundred Euro (€23,500.00) to cover tuition fees, full living expenses during two (2) semesters, all study tours, flights to Israel, entry visa, medical insurance while in Israel and weekend excursions. STEP 1: Go to any branch of First Bank Plc and pay a non-refundable fee of Fifty thousand Naira (N50,000.00) for FUTO-GIMI. You will be given an e-Tranzact receipt which should contain a Confirmation Order and Receipt Number. (Ensure that you do NOT lose this information). STEP 3:Click on the “New Application” link. STEP 4:Select the program of your choice e.g M.Sc GIMI, enter the confirmation order and receipt number on the slip you got from the bank. STEP 6:Fill the application form, then click “Continue”. N.B: Ensure you upload your passport and fill all the required fields on the application form correctly. For International students, kindly scan and forward your evidence of payment to futo-gimi@futo.edu.ng, in order to have access to the application form. Candidates should forward the following relevant documents in support of their application to the Deputy Registrar/Secretary, Postgraduate School, Federal University of Technology, Owerri, Nigeria. iv. Letter from three (3) referees as indicated in the form. All applicants must forward their transcripts to reach the Secretary, Postgraduate School, Federal University of Technology, Owerri, Nigeria, not later than 16th March, 2015. Please note that any application without transcript will not be considered for admission. The website will close on 28th February, 2015 and all successful candidates will be notified via e-mail.